Can't you just hear them sizzling on the grill? 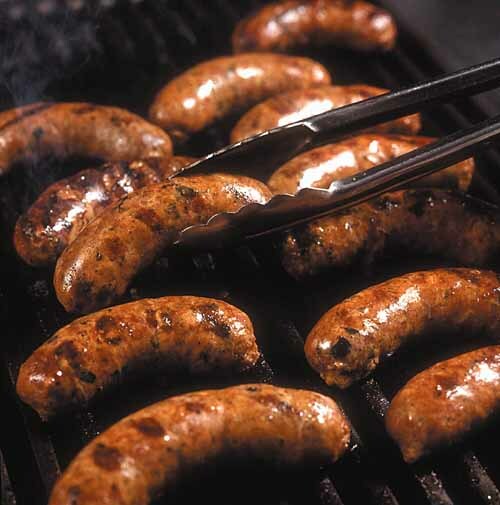 Traditional Bratwurst is made from pork and veal. You can substitute beef for the veal but unless you are making it by the ton, it is not worth the compromise. This is a mild creamy sausage. 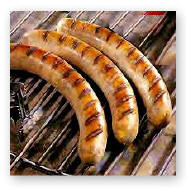 Just add this 12.9 oz package to 10 lbs of meat, stuff and grill for delicious Bavarian style Brats!